This guide is aimed at the wide range of staff working in libraries and information services. Some of these staff might be called librarians and have a recognised professional qualification however the copyright exceptions apply equally to all staff working in libraries including library or information assistants. We therefore use the term librarians broadly to cover all types of staff that work in the sector and who provide information related guidance and support to others. Many librarians act as mediators, guides or even, in some cases formal teachers. They help people to recognise their information needs, identify and access relevant sources and make judgments about the value of that information. To facilitate this, libraries have traditionally collected and organised information, in a wide variety of formats, from books and journals to audio-visual materials and special collections (which are more akin to archival materials). Increasingly library collections are available in digital format which means that copyright law, licensing terms and digital rights management technologies can have a big impact on how and whether information is used. Of central importance to collecting, organising and providing access to information are questions about what people are permitted to do with that material. Whether you work in a public or academic library, a specialist information service within central or local government, or a school library, copyright is something librarians have to deal with at some point in their career. Many users of library services (academic staff, students, members of the public, your colleagues) will not just want to access information: when they find something they want to use, and this often means they want to take it away with them. This guide discusses the special privileges that librarians have in providing access to information whether through loaning material, or offering copying services. It also discusses the responsibility that comes with these privileges to offer advice and support about what the law does or does not permit. Copyright is one of a number of legal issues (such as Data Protection and Freedom of Information) that librarians, information professionals and staff who work in library and information services might grapple with at a practical level. However, understanding copyright is crucial, given the exceptions that apply to librarians in UK law. These exceptions are commonly referred to as ‘library privilege’, and although the term is not used specifically in law, the library profession (along with archivists) is given a dedicated section in the Copyright, Designs and Patents Act 1988 (the CDPA). This governs how librarians can supply material to their users, but also to other libraries, or to replace material in their own collections. All these uses are covered in this guide and while it attempts to be relevant to all types of libraries, particular attention is paid to public, academic and research libraries. This is because a number of copyright exceptions do not apply (or only partially relate) to for-profit libraries. This is explained further in the sections below. Libraries hold a wide variety of copyright works in their collections, including published and unpublished works, images, sound recordings and digital media. These will include items produced for both commercial and non-commercial reasons. The nature of the physical collection will vary enormously dependent on the nature of the library or organisation. In some organisations the physical library has shrunk to almost nothing, and exists as a virtual collection of subscriptions to digital content such as online journals, specialist databases, ebooks and other electronic resources. As the majority of these items are protected by copyright a knowledge of copyright law is clearly important. However, it is also important to understand the licence agreements (contracts) that govern the use of these digital resources. Library Managers need a broad understanding of UK Copyright Law and the key exceptions to the law, to appreciate the impact copyright has on the various services provided by different staff within the library. This is particularly important in light of the things their staff do, the content they work with and the levels of legal risk this might present. Customer Services staff are often in the front line, working on enquiry points, service desks or providing roaming support in the library. They need to understand the implications of copyright on self-service provision, copying for users and interlibrary copying (sometimes referred to as interlibrary loan or ILL). However, they also may need to signpost library users to more specialist help, where queries go beyond their knowledge. In academic libraries, there are a growing body of research support staff, including staff who manage the institutional repository and offer advice on scholarly communication. In this specialist role these staff need to advise academics and researchers on general copyright issues, publishing contracts, journal policies on open access (OA), text and data mining (TDM) and terms and conditions for accessing databases. Teaching support teams often exist in academic libraries to help provide access to materials for students on specific courses or programmes of study. This may mean producing course packs, or scanning material for delivery to students via a virtual learning environment (VLE). These staff need to understand the existing exceptions and licence regime for copying for students as well as providing access to born digital content. Information literacy or learning support librarians need to understand how copyright impacts on the way that information is created and made available, and teach this to students and staff. Archive and special collections staff will need to understand how copyright affects preservation activities, the use and re-use of orphan works, and when content within the collection can be made accessible via dedicated terminals within the library. Staff working in these services are also encouraged to read the archives and preservation section of the Copyright User resource. Lending of collection items is a key service in many libraries and although lending a tangible item like a book doesn’t involve making a copy of it, both rental and lending are economic rights that copyright owners enjoy under the CDPA. However the exception provided by s.40A of the CDPA allows libraries to lend items to their users legally as long as certain conditions are met. The main ones are that the library should either be part of the Public Lending Right (PLR) scheme (in the case of a public library) or should not be conducted for profit. However, this ‘not for profit’ condition doesn’t stop a library from charging fees to cover its operating costs. Lending or rental of electronic materials such as ebooks is currently more complex because the act of ‘lending’ is more likely to involve a download from an online location rather than providing the user with a tangible item. As such, this will almost certainly require consideration of the licence agreement(s) under which the content was purchased or made available. This difference between the ability for libraries to lend physical books compared to ebooks remains a controversial and ongoing issue for debate. In all situations libraries may charge users for the making of these copies, but the charges must not exceed the operational cost of doing so. Some of the exceptions only relate to not-for-profit libraries. So, libraries operating on a commercial basis, such as one run by a pharmaceutical company, cannot rely on the exception to make single copies of published works for their users. There are different conditions attached to copying of published (s.42A) and unpublished (s.43) material and details on legal copying of unpublished works can be found in the guide to Archiving and Preservation. Libraries must keep records of these requests and declarations for six years (in accordance with the Limitation Act (1980)). Although doing so is standard practice, few libraries (if any) have ever reported being audited to determine if they are complying with the law on this issue. What constitutes a ‘reasonable proportion’ of a copyright work is not defined within the legislation although in the case of a book this is often regarded as equivalent to a single chapter or no more than 10% of the total work. Since 2014 it has been possible to make library privilege copies of extracts from sound recordings and films on request, yet consensus on what might be an acceptable duration (or percentage of the whole work) has yet to be agreed. Therefore, libraries and librarians will have to make this judgment themselves, most likely on a case by case basis. Importantly, if the terms and conditions of a licence or a contract prohibit making copies for users as detailed above, then librarians can ignore this part of the licence or contract. That is, any term of a licence or a contract seeking to prevent or restrict this type of copying is unenforceable in law. However, if you are dealing with digital content, this does not mean that you are free to circumvent any DRM that may have been applied to that content in order to make the copy requested by the user. (DRM and other forms of technological protection measures are discussed here). Libraries are also legally allowed to make accessible copies of copyright works for users, with specific needs such as those with visual impairments or dyslexia. However, the users must have lawful access to the material in the first place. These accessible copies include electronic versions of print material in a format that can be enlarged on screen or work with text-to-speech software, as well as subtitled or audio-description versions of video recordings. Librarians need to ensure that no commercially available accessible version already exists before making the copy and an acknowledgement of the author needs to be included. Educational establishments and not-for-profit libraries (who are defined as ‘authorised bodies’) may keep these accessible versions for provision to more than one user, but need to keep records of the material copied and who it was supplied to, as well as adding a statement to the copies that they were made under s.31B of the CDPA. The authorised bodies must also notify the rights holder or their representative about the making of these copies. However, the Copyright Licensing Agency (the CLA) also provide licence coverage for making accessible copies of published content for which no notification or reporting is required, so institutions that hold a CLA Licence can rely on this. Publishers can also be contacted to supply accessible digital files, although the time it can take for publishers to respond is often variable. RNIB Bookshare UK education collection (formerly Load2Learn) provides a repository of accessible print content which libraries may use under a combination of the licences and exceptions described above. For further information about how copyright enables access for people with disabilities, please see the Disability section of the Copyright User resource. In order to provide electronic access to their collections, libraries can digitise them and make them available on-site via ‘dedicated terminals’ for research or private study (s.40B). This means that individual library users can search across the collection, increasing the speed and effectiveness of finding the right information. If the library has signed a licensing agreement with a copyright owner which prevents the digitisation of content and making available in this way, then these licensing terms must be adhered to. However, there is no obligation on a library to take out such a licence, if one is commercially available. They can, instead, simply rely on the exception to digitise and make available selected material within their collection in this way. Indeed, preservation copies can also be used for this purpose (see below). As this exception is concerned with enabling libraries to communicate or make work available to the public on dedicated terminals, it does not also allow the library to make copies of these works for users whether by printing, download or by saving onto any kind of portable digital storage. However, whether a library should actively take steps to prevent users from printing or copying material from a dedicated terminal is unclear (for example, by disabling download or copy and paste functions). A user might reasonably argue that he or she is entitled to make a copy of any work that is available on the dedicated terminal on the grounds that they are copying, fairly, for their own private study or non-commercial research. Until the courts provide further clarity, libraries should exercise their own judgment on this issue. That said, if a library does enable copying and printing from a dedicated terminal on its premises, it should make clear that users are responsible for any copies they make. See the section on ‘User Copying in the Library’ (below) for further information and guidance. Librarians can also make copies of items to send to other libraries, either to replace certain collection items which have become lost, destroyed or damaged (s.42), to add items to their collections (s.41) or to provide a copy to a user of another library who has made a request and completed a declaration form as above (s.42A). These scenarios are sometimes discussed using the umbrella term ‘interlibrary loan’ (ILL), but this is confusing because all of these activities actually involve copying and supplying content rather than loaning. The use of this term is understandable because both loaning and supplying copies of items are often carried out by the same staff. However for the purposes of accuracy this guide will refer to such copying not as ILL, but as interlibrary copying. Just as librarians can make single copies of works for their own users, they are also able to supply copies of articles or reasonable proportions of other works (for example, a book chapter) to other libraries in order to satisfy a request from a user whose library does not have it. The same declaration as described above needs to be completed by the user and retained by either the requesting or the supplying library (see Copying for users: making single copies). The law also states that for the copy to be made it must not be ‘reasonably practicable to purchase a copy of the item’ in order to replace it. This raises the question of whether the cost or format of a commercially available version has any impact on whether purchasing a copy would be ‘reasonably practicable’. For example, if a title is only available as a consumer ebook (such a Kindle or iBooks download) then it’s not reasonably practicable for a library to purchase a copy. This is because these consumer ebook platforms do not have the functionality for libraries to lend copies they purchase to their users. Finally, there are situations where a library wants to add items to its collection, but it is not possible or practical to purchase or acquire them from anywhere except another library. In this case single copies of either the whole or part of a published work can be provided by the library that holds it (S.41). Again, the library requesting the item cannot be conducted for profit but the library supplying can be. For this exception to apply the librarian has to determine at the time of request that they do ‘not know, or could not reasonably find out, the name and address of a person entitled to authorise the making of a copy of the work.’ This condition ensures that libraries don’t use this exception to avoid purchasing materials, but it does not relate to supply of single articles in periodicals. These can be supplied even if the librarian was able to contact someone who was authorised to make a copy. The restriction here is that only single articles can be supplied so it would not be possible to use this exception to copy and supply entire journal collections from one library to another. In many cases library users will want to make their own copies from collection items and not only do libraries often provide copying facilities, the majority of today’s portable digital devices enable relatively high quality copies to be made. As described in the section on Research and Private Study copying of in-copyright items is allowed as long as it is ‘fair dealing’ and is for non-commercial purposes. Librarians are sometimes unsure whether to intervene if they believe someone is making infringing copies of their collections, whether on the premises or off. Ultimately it is the library users who are responsible for their own actions, although libraries do have a duty of care to provide information about copyright and to take action if they become aware of blatant infringement on their premises. This is discussed in the context of copyright literacy in the next section. Librarians locate and provide timely access to resources for students on specific taught courses. In higher education reading lists are one of the key tools that guide libraries in their acquisitions policies. Through liaison with teachers and academic staff, decisions can be made over the selection of resources, how many copies to buy and in which format to source the material. Where there are large numbers of students on a course, a key challenge is providing timely access to the essential reading. Copyright exceptions and licence agreements (most notably the CLA Licence) are particularly valuable here. Pressure on student finances and an increasing drive towards electronic delivery of course materials via virtual learning environments (VLEs) has led to students expecting access to readings at the point of need, rather than having to visit the library or purchase books. The greater availability of e-books and e-resources means that libraries can purchase much of this content in digital format. However, there remains a challenge in providing access to readings where electronic access is not available, where the format or licensing agreement is not suitable, or where the cost might be prohibitive. Over the past 10 years the ability to scan and distribute core readings under a blanket licence offered by the Copyright Licensing Agency (CLA) has shaped the library services offered by many higher education establishments. This has led to a greater need for librarians to understand copyright and licensing terms. The CLA offer licences for the schools, further education (FE) and higher education sector as well as for businesses and the public sector (which covers government and NHS libraries). The types of services that a library offers will affect whether they require a CLA Licence. For more information visit http://www.cla.co.uk. The educational licences permit multiple copying of extracts of copyright materials for teaching purposes: this can be in paper to paper format (photocopying), paper to digital (scanning), or digital to digital supply. The most commonly encountered length restrictions for items that can be copied under the current licence are 5% of a work, one article from a journal issue or one chapter from a book (whichever is greater). However the current higher education licence, in place from 1st August 2016, permits universities to copy up to 10% of a work or one chapter/article, whichever is the greater. In higher education the licence requires that any scanning or digital copying needs to be reported annually to the CLA to enable the accurate distribution of royalties to relevant copyright owners. For staff involved in the provision of paper course packs, or scanned readings for students, they will need to be familiar with the CLA Licence. It’s now relatively easy to check whether a particular title is covered by the CLA Licence by using the Check Permissions Tool, and the CLA User Guidelines are a valuable resource for understanding the detailed terms and conditions. There are versions available for schools, further education and higher education. Section 36 is an exception to the CPDA which allows multiple copying of extracts from published editions for teaching purposes without permission from the copyright owner. However this exception only applies where a licensing scheme is not in place. This means that for the majority of relevant copyright materials (books, journal articles) copying would be done under the terms of a CLA Licence. However, for material excluded from the licence or not covered by it (for example, the licence does not cover bibles, workbooks, workcards or assignment sheets) then copying can be undertaken under this exception. It permits up to 5% of a work to be copied across the institution in any one year. It is therefore more restrictive than the CLA Licence, which allows institutions to copy more than one extract from a publication and use those copies extensively across the institution. The condition here is that only one extract from a publication is used on any one course. Librarians play an important role as teachers for all aspects of both information and digital literacy education for staff and students in their institution. An understanding of how to use information ethically, including knowledge of plagiarism and copyright issues is increasingly important. In some disciplines such as music, art and design, it is essential that students understand copyright issues as they create new content. Entrepreneurial programmes and disciplines such as engineering also increasingly teach students about protecting their ideas using patents and other intellectual property laws. 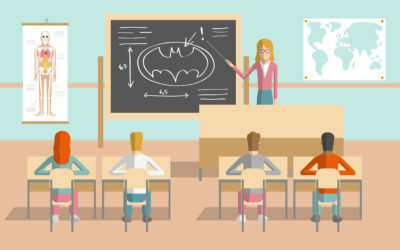 In many disciplines where images are used in presentations, students might be taught about Creative Commons licences and how to find openly licensed content. Information literacy or learning support librarians may be called upon to teach others about a variety of aspects of copyright and work to embed ‘copyright literacy’ within student and staff education programmes. Copyright Literacy is the development of knowledge, skills and behaviours that individuals need to work ethically with copyright content, particularly in digital environments. Embedding copyright literacy within a broader information literacy programme, and teaching an understanding of copyright in the context of a discipline, is vital to making it meaningful to students. One of the main purposes of libraries is to support the process of research, whether by a member of the public wanting to know more about their family history or an academic employed by a university to investigate the origins of the universe. The copyright implications associated with this range of ‘research support’ roles cover the sourcing of ‘traditional’ items in library collections to the cutting edge use of information analysis tools. As mentioned in the ‘Providing Access’ section, librarians are allowed to provide users with copies from collection items for non-commercial research or private study and can even source copies from other libraries if they don’t own the material. The tradition of library privilege and interlibrary copying has underpinned democratic access to information for many years and recent changes to the law have tried to ensure that the same principles apply to digital content. Increasingly, however, librarians are becoming involved in supporting and advising on the creation and communication of new knowledge through digital technologies, particularly at universities and research institutions. 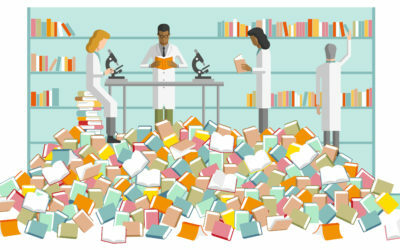 The rise of open access publishing and the creation of online academic repositories of research papers, datasets and other scholarly outputs has necessitated a much closer working relationship between librarians, researchers and academics. This is particularly relevant in relation to copyright and other aspects of information law. Traditional models for scholarly publishing have generally required academics to transfer copyright in articles and books to commercial publishers. Libraries’ involvement in this process in the past has therefore largely been to pay for the content once publishers have arranged for peer-review, type setting and distribution. However, following the widespread availability of digital publishing tools the economics of this traditional model, and the limitations it provides on universal access to information, have come under intense scrutiny. A number of alternative models have emerged under the banner of the open access movement which attempt to provide access to the findings of research free of charge and free of the usage restrictions that copyright would normally present. Libraries within research institutions often provide services to advise researchers on the best way to maximise the impact of their research through effective communication. This involves identifying legal and ethical uses of third party copyright, whether or not to assign their copyright to a publisher and what type of licences to apply to their work. Another aspect of this is the library’s role in ensuring that all the research funding policies and government audits of an institution’s research ‘excellence’ are adhered to. The Research Excellence Framework in the UK stipulates that research findings published from 1st April 2016 must be made available as open access and librarians are heavily involved in advising researchers and supporting them applying for funding through the appropriate routes. Libraries are also crucial to the development of new research methods that harness the power of digital technology to make sense of the huge quantities of information and data in today’s world. As discussed in the section on Text and Data Mining, computer software is capable of finding trends and patterns in data which would be impossible for humans to do themselves. However, text and data mining requires copying of entire copyright works, and many publishers are resistant to researchers accessing their databases unless they agree to use proprietary technology or sign restrictive licences. Libraries and librarians must therefore tread a fine line between advocating and facilitating the widest use of items in their collections, whilst avoiding a situation where legitimate access to collections is blocked by a publisher who suspects foul play. As the debate over the legal and ethical implications of text and data mining exceptions continues, libraries and librarians would be well advised to find out as much about the technology and innovative ways of using it as possible. It is only as equal partners, alongside researchers and information providers, that librarians will be able to realise the potential of information and technology to create new knowledge, solve the world’s problems and explore the mysteries of the universe. Libraries, like archives can play an important role in preserving cultural heritage and making it available to users. Some libraries hold special collections which are rare or historically significant, therefore the guidance on Archives and Preservation should also be consulted alongside this section as it provides valuable information about when copying for preservation can be undertaken and when it is permissible to make copies for users of unpublished works held within a collection. The earlier section on Providing Access discussed the provisions under UK law that allow librarians to copy and supply material to other libraries for the specific purpose of replacing stock where it has been lost, destroyed or damaged (s.42). The item must be in the permanent collection and it must not be reasonably practical to purchase another copy. In reality, much library stock may be excluded from this provision if it is reasonably practical to purchase a replacement copy. • The digitisation of oral histories recorded on reel to reel tape and backed up in multiple locations. • The format-shifting of obsolete video formats such as Betamax to contemporary digital file formats. Librarians can get help and support on copyright issues from a variety of sources including books, blogs, professional associations and from a variety of mailing lists. We’ve included a selection of the most important ones below. Cornish, G. (2015) Copyright: interpreting the law for libraries, archives and information services, 6th edition, Facet Publishing. Padfield, T. (2015) Copyright for Archivists and Records Managers, 5th edition. Facet Publishing. Pedley, P. (2015) Practical Copyright for Library and Information Professionals, Facet Publishing. Secker, J. with Morrison C. (2016) Copyright and E-learning: a guide for practitioners. 2nd edition. Facet Publishing.